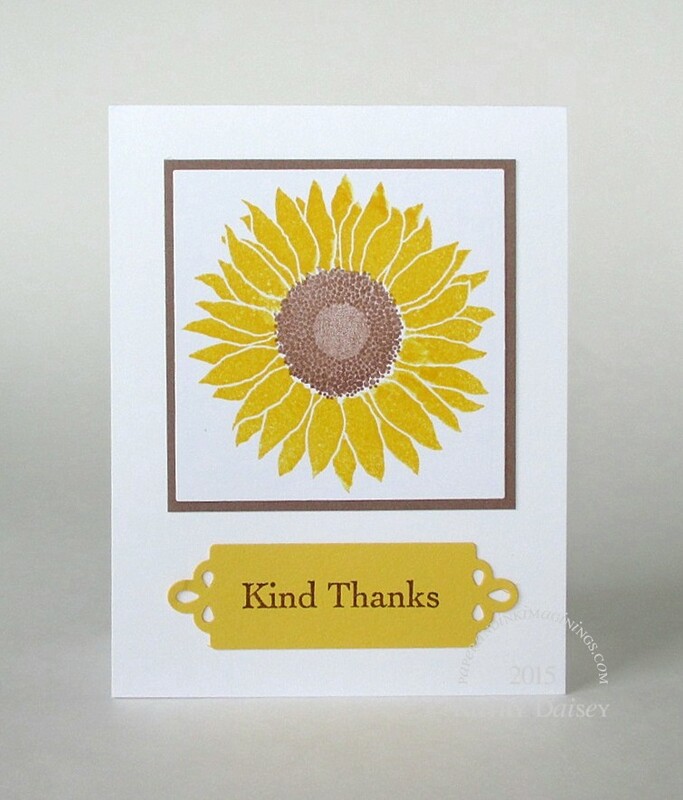 The final card in the sunflower thank you project. Supplies: Stamps – My Favorite Things, Stampin’ Up!, paper – Neenah Classic Crest Solar White, Stampin’ Up! Close to Cocoa (retired), Daffodil Delight, inks – Stampin’ Up! Close to Cocoa (retired), Crumb Cake, Daffodil Delight, VersaFine Vintage Sepia, die – Spellbinders, embossing powder – Filigree Fine Art Powder clear. Categories: card, thanks | Tags: card, My Favorite Things, Neenah, Spellbinders, Stampin' Up! | Permalink.